We use an open frame 6 GPU mining rig to test all new cards and components. It is with this rig that we accept or reject certain card manufacturers or card types. 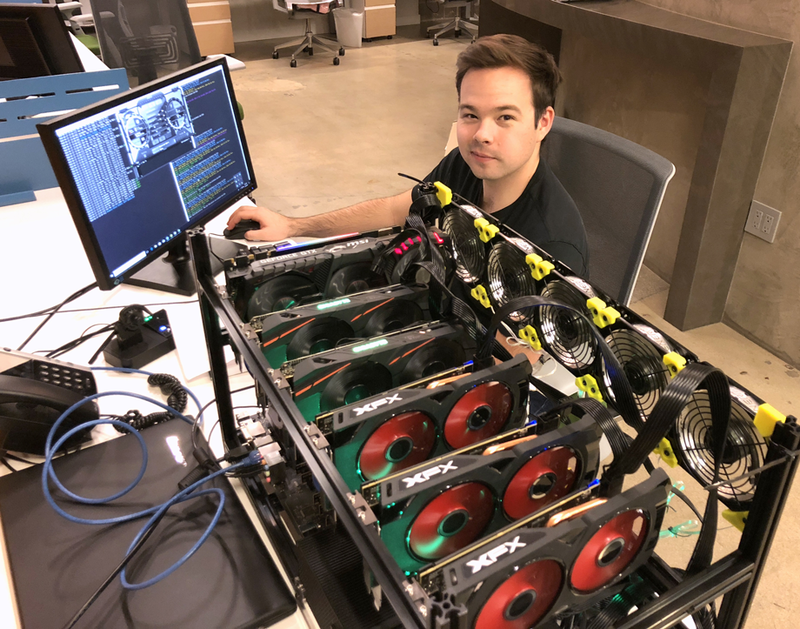 Unlike our commercial client rigs, this setup certainly is NOT UL approved, but we can crank through tests on 100 cards much faster than our 4u rigs. The open-air rig allows us to ID cards that have faulty cooling fans, or are running hotter than meets our spec while under load. For more information about GPU Mining vs ASIC mining, refer to the home page.